… no, I promise you, I haven’t forgotten about this blog! Rather, I’ve been writing and working on other things. Today, I’d like to share three of them with you! Katherine (Katie) Fearer (left) and Natalie Fech (right) did absolutely fantastic work on their master’s theses. Both theses addressed relational uncertainty and relational maintenance (Natalie’s in romantic relationships, Katie’s in friendships), and both found really really nifty findings that I fully expect will appear in press soon. 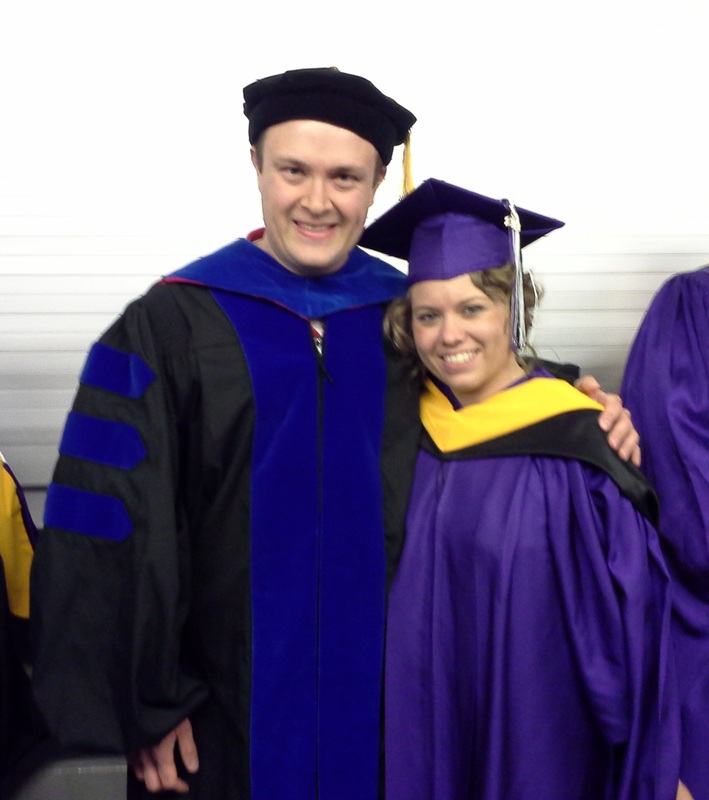 Neither are pursuing a PhD at the moment, but if any of y’all reading this are looking to add great doctoral students to your program, these two are well worth recruiting! I’ve talked with many professors who have wondered how they should manage students’ technology use in the classroom: “Should I allow laptops only? Or cell phones too? Maybe I should ban all technology use?” My wonderful TCU friend/colleague Dr. Amber Finn and I have set out to provide answers to these questions. In a study that’s soon to appear in Communication Education (and is already available online), we examined how a teacher’s technology policies predict student learner empowerment–in other words, the student’s belief that s/he can perform effectively in the class. Based on previous research (i.e., Turman & Schrodt, 2005), we expected learner empowerment would be highest when teachers moderately encourage course-relevant technology use and moderately discourage non-course use. But, that’s not what we found! What does this mean? Well, the most important line is that dark, solid line–that’s the highly apprehensive students. 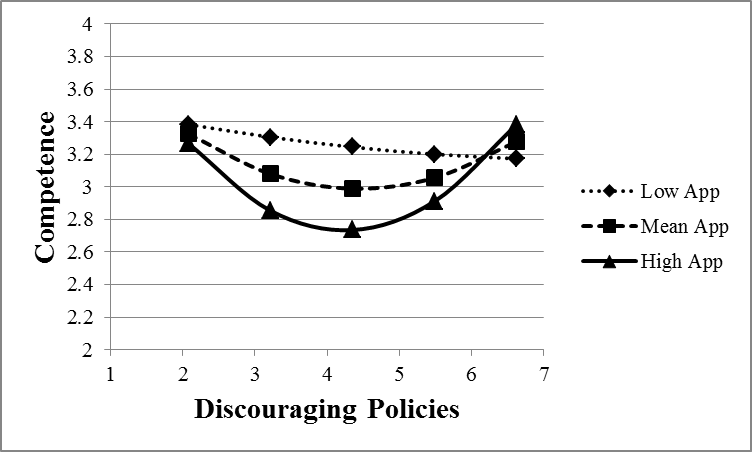 The curve of the line is lowest in the middle–in other words, they feel least empowered when teachers are moderately discouraging of non-course tech use! The upshot here? We think clarity is important. As an instructor, you can discourage non-course tech use as long as you’re clear about it. If you’re wishy-washy, you’ll ‘freak out’ the apprehensive students because they won’t know what to expect–and, consequently, they’ll fell less empowered. 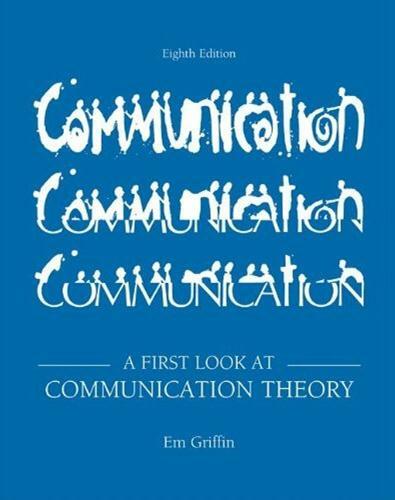 Several years ago, my dear friend and mentor Em Griffin invited me to serve as a “special consultant,” and now as a co-author, on his textbook A First Look at Communication Theory. It’s the book that, as a college student at Wheaton, got me all fired up about being a communication professor–so I was delighted to accept his invitation! We (Em and Glenn Sparks at Purdue University) have been working on the upcoming 9th edition. (The image above is the 8th edition; the cover hasn’t been finalized for the 9th edition yet.) I won’t say much about it now, except that I’m excited about the updates we’ve been making to the book! Much of my work has involved a new organizational communication theory… I’m very excited to see the feedback on it from long-time users of the book. 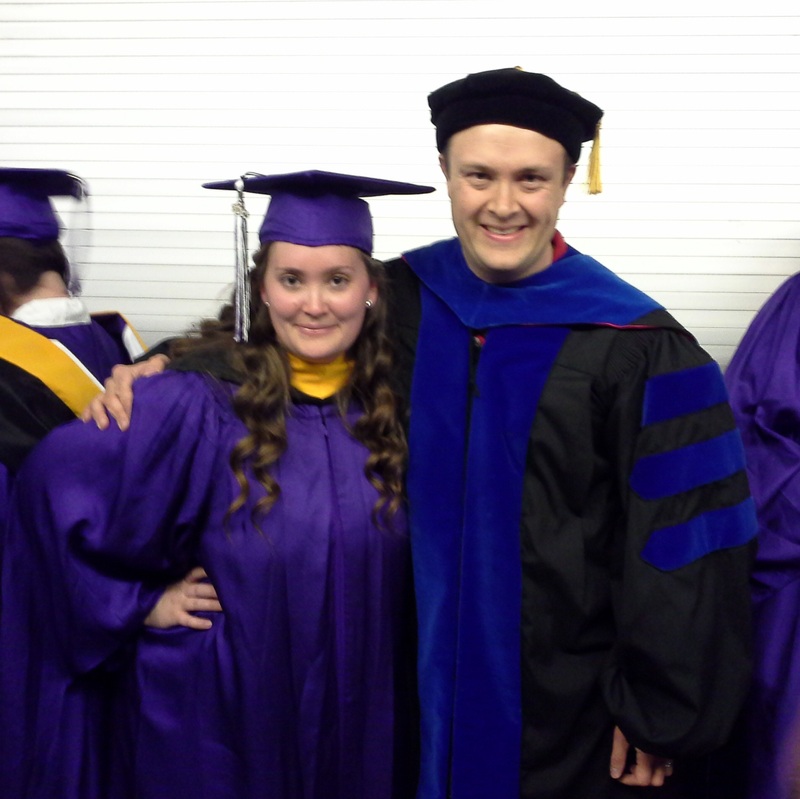 I should probably also mention that, this April, I was awarded tenure and promotion to associate professor at TCU. Thanks to all of you who helped me on the journey to this point in my career! I feel very blessed to work at such a wonderful university with truly excellent colleagues.